Long Beach Honda is excited to offer this charming 2018 Honda Pilot. 2018 Honda Pilot Lunar Silver Metallic LX Pilot LX, 4D Sport Utility, 6-Speed Automatic, Lunar Silver Metallic, Gray w/Cloth Seat Trim. 27/19 Highway/City MPG**Here at Long Beach Honda, we focus on creating lifetime customers and on listening to you. We don t just want one car sale; we want you to enjoy your experience so much that you keep coming back! So let s get started! Browse our online inventory, get more info about vehicles, or set up a test drive! Long Beach Honda is pumped up to offer this beautiful 2018 Honda Pilot. 2018 Honda Pilot Modern Steel Metallic LX 4D Sport Utility, 6-Speed Automatic, Modern Steel Metallic, Gray w/Cloth Seat Trim. 27/19 Highway/City MPG**Here at Long Beach Honda, we focus on creating lifetime customers and on listening to you. We don t just want one car sale; we want you to enjoy your experience so much that you keep coming back! So let s get started! Browse our online inventory, get more info about vehicles, or set up a test drive! Long Beach Honda is very proud to offer this outstanding 2019 Honda Pilot. 2019 Honda Pilot White Diamond Pearl LX 4D Sport Utility, 3.5L V6 24V SOHC i-VTEC, 6-Speed Automatic, FWD, Beige w/Cloth Seat Trim. 19/27 City/Highway MPGHere at Long Beach Honda, we focus on creating lifetime customers and on listening to you. We don t just want one car sale; we want you to enjoy your experience so much that you keep coming back! So let s get started! Browse our online inventory, get more info about vehicles, or set up a test drive! Long Beach Honda is delighted to offer this beautiful 2019 Honda Pilot. 2019 Honda Pilot Deep Scarlet Pearl LX Pilot LX, 6-Speed Automatic, Deep Scarlet Pearl, Black w/Cloth Seat Trim. 19/27 City/Highway MPGHere at Long Beach Honda, we focus on creating lifetime customers and on listening to you. We don t just want one car sale; we want you to enjoy your experience so much that you keep coming back! So let s get started! Browse our online inventory, get more info about vehicles, or set up a test drive! Long Beach Honda is honored to offer this attractive-looking 2019 Honda Pilot. 2019 Honda Pilot Crystal Black Pearl LX 4D Sport Utility, 3.5L V6 24V SOHC i-VTEC, 6-Speed Automatic, FWD, Gray w/Cloth Seat Trim. 19/27 City/Highway MPGHere at Long Beach Honda, we focus on creating lifetime customers and on listening to you. We don t just want one car sale; we want you to enjoy your experience so much that you keep coming back! So let s get started! Browse our online inventory, get more info about vehicles, or set up a test drive! Long Beach Honda is very proud to offer this outstanding 2019 Honda Pilot. 2019 Honda Pilot Crystal Black Pearl LX 4D Sport Utility, 3.5L V6 24V SOHC i-VTEC, 6-Speed Automatic, FWD, Gray w/Cloth Seat Trim. 19/27 City/Highway MPGHere at Long Beach Honda, we focus on creating lifetime customers and on listening to you. We don t just want one car sale; we want you to enjoy your experience so much that you keep coming back! So let s get started! Browse our online inventory, get more info about vehicles, or set up a test drive! Long Beach Honda is honored to offer this good-looking 2018 Honda Pilot. 2018 Honda Pilot White Diamond Pearl LX Pilot LX, 4D Sport Utility, 3.5L V6 24V SOHC i-VTEC, AWD, White Diamond Pearl, Black w/Cloth Seat Trim. 26/18 Highway/City MPG**Here at Long Beach Honda, we focus on creating lifetime customers and on listening to you. We don t just want one car sale; we want you to enjoy your experience so much that you keep coming back! So let s get started! Browse our online inventory, get more info about vehicles, or set up a test drive! Long Beach Honda is excited to offer this good-looking 2018 Honda Pilot. 2018 Honda Pilot Lunar Silver Metallic LX Pilot LX, 4D Sport Utility, 3.5L V6 24V SOHC i-VTEC, AWD, Lunar Silver Metallic, Gray w/Cloth Seat Trim. 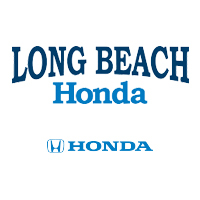 26/18 Highway/City MPG**Here at Long Beach Honda, we focus on creating lifetime customers and on listening to you. We don t just want one car sale; we want you to enjoy your experience so much that you keep coming back! So let s get started! Browse our online inventory, get more info about vehicles, or set up a test drive! Long Beach Honda is pumped up to offer this gorgeous-looking 2018 Honda Pilot. 2018 Honda Pilot White Diamond Pearl LX 4D Sport Utility, 6-Speed Automatic, AWD, White Diamond Pearl, Beige w/Cloth Seat Trim. 26/18 Highway/City MPG**Here at Long Beach Honda, we focus on creating lifetime customers and on listening to you. We don t just want one car sale; we want you to enjoy your experience so much that you keep coming back! So let s get started! Browse our online inventory, get more info about vehicles, or set up a test drive! Long Beach Honda is pumped up to offer this gorgeous-looking 2019 Honda Pilot. 2019 Honda Pilot Steel Sapphire Metallic EX 4D Sport Utility, 3.5L V6 24V SOHC i-VTEC, 6-Speed Automatic, FWD, Gray w/Cloth Seat Trim. 19/27 City/Highway MPGHere at Long Beach Honda, we focus on creating lifetime customers and on listening to you. We don t just want one car sale; we want you to enjoy your experience so much that you keep coming back! So let s get started! Browse our online inventory, get more info about vehicles, or set up a test drive! Long Beach Honda is pleased to offer this gorgeous 2019 Honda Pilot. 2019 Honda Pilot Obsidian Blue Pearl EX 4D Sport Utility, 3.5L V6 24V SOHC i-VTEC, 6-Speed Automatic, FWD, Gray w/Cloth Seat Trim. 19/27 City/Highway MPGHere at Long Beach Honda, we focus on creating lifetime customers and on listening to you. We don t just want one car sale; we want you to enjoy your experience so much that you keep coming back! So let s get started! Browse our online inventory, get more info about vehicles, or set up a test drive! Long Beach Honda is pumped up to offer this outstanding-looking 2019 Honda Pilot. 2019 Honda Pilot Deep Scarlet Pearl EX 4D Sport Utility, 3.5L V6 24V SOHC i-VTEC, 6-Speed Automatic, FWD, Beige w/Cloth Seat Trim. 19/27 City/Highway MPGHere at Long Beach Honda, we focus on creating lifetime customers and on listening to you. We don t just want one car sale; we want you to enjoy your experience so much that you keep coming back! So let s get started! Browse our online inventory, get more info about vehicles, or set up a test drive! Long Beach Honda is pleased to offer this beautiful 2019 Honda Pilot. 2019 Honda Pilot Scarlet EX 4D Sport Utility, 3.5L V6 24V SOHC i-VTEC, 6-Speed Automatic, FWD, Cloth. 19/27 City/Highway MPGHere at Long Beach Honda, we focus on creating lifetime customers and on listening to you. We don t just want one car sale; we want you to enjoy your experience so much that you keep coming back! So let s get started! Browse our online inventory, get more info about vehicles, or set up a test drive! Long Beach Honda is proud to offer this attractive-looking 2019 Honda Pilot. 2019 Honda Pilot Deep Scarlet Pearl EX 4D Sport Utility, 3.5L V6 24V SOHC i-VTEC, 6-Speed Automatic, FWD, Beige w/Cloth Seat Trim. 19/27 City/Highway MPGHere at Long Beach Honda, we focus on creating lifetime customers and on listening to you. We don t just want one car sale; we want you to enjoy your experience so much that you keep coming back! So let s get started! Browse our online inventory, get more info about vehicles, or set up a test drive! Long Beach Honda is pleased to offer this terrific 2019 Honda Pilot. 2019 Honda Pilot Modern Steel Metallic EX 4D Sport Utility, 3.5L V6 24V SOHC i-VTEC, 6-Speed Automatic, FWD, Gray w/Cloth Seat Trim. 19/27 City/Highway MPGHere at Long Beach Honda, we focus on creating lifetime customers and on listening to you. We don t just want one car sale; we want you to enjoy your experience so much that you keep coming back! So let s get started! Browse our online inventory, get more info about vehicles, or set up a test drive! Long Beach Honda is delighted to offer this fantastic 2019 Honda Pilot. 2019 Honda Pilot Deep Scarlet Pearl EX 4D Sport Utility, 3.5L V6 24V SOHC i-VTEC, 6-Speed Automatic, FWD, Beige w/Cloth Seat Trim. 19/27 City/Highway MPGHere at Long Beach Honda, we focus on creating lifetime customers and on listening to you. We don t just want one car sale; we want you to enjoy your experience so much that you keep coming back! So let s get started! Browse our online inventory, get more info about vehicles, or set up a test drive! Long Beach Honda is proud to offer this great 2019 Honda Pilot. 2019 Honda Pilot White Diamond Pearl EX 4D Sport Utility, 3.5L V6 24V SOHC i-VTEC, 6-Speed Automatic, FWD, Beige w/Cloth Seat Trim. 19/27 City/Highway MPGHere at Long Beach Honda, we focus on creating lifetime customers and on listening to you. We don t just want one car sale; we want you to enjoy your experience so much that you keep coming back! So let s get started! Browse our online inventory, get more info about vehicles, or set up a test drive! Long Beach Honda is honored to offer this attractive 2019 Honda Pilot. 2019 Honda Pilot White Diamond Pearl EX 4D Sport Utility, 3.5L V6 24V SOHC i-VTEC, 6-Speed Automatic, FWD, Beige w/Cloth Seat Trim. 19/27 City/Highway MPGHere at Long Beach Honda, we focus on creating lifetime customers and on listening to you. We don t just want one car sale; we want you to enjoy your experience so much that you keep coming back! So let s get started! Browse our online inventory, get more info about vehicles, or set up a test drive!